We want your organization's Calendar Events! Web E-Mail them right here, Your Event will be posted in 48 hours. [Cowetaok.com] and [WebCampbell] are trademarks of [WebCampbell Co.]. All other products, mentioned are registered trademarks or trademarks of their respective companies. 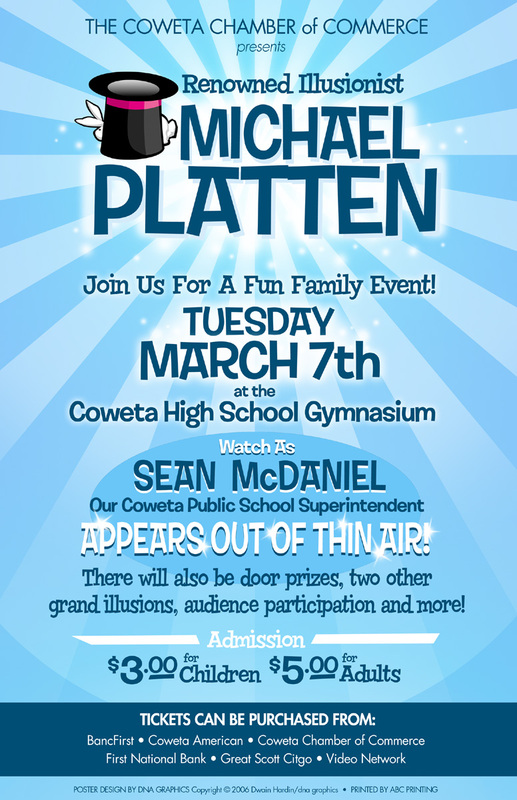 If you are interested in adding your business you can call: 918.486.1023, e-mail at sales@cowetaok.com , mail 13882 S 293RD East Ave., Coweta, Oklahoma 74429. This site maintained by WebCampbell Digital Marketing© Questions or problems regarding this web site should be directed to [webmaster@cowetaok.com]. Copyright © 2008-2009 [WebCampbell Co.]. All rights reserved.